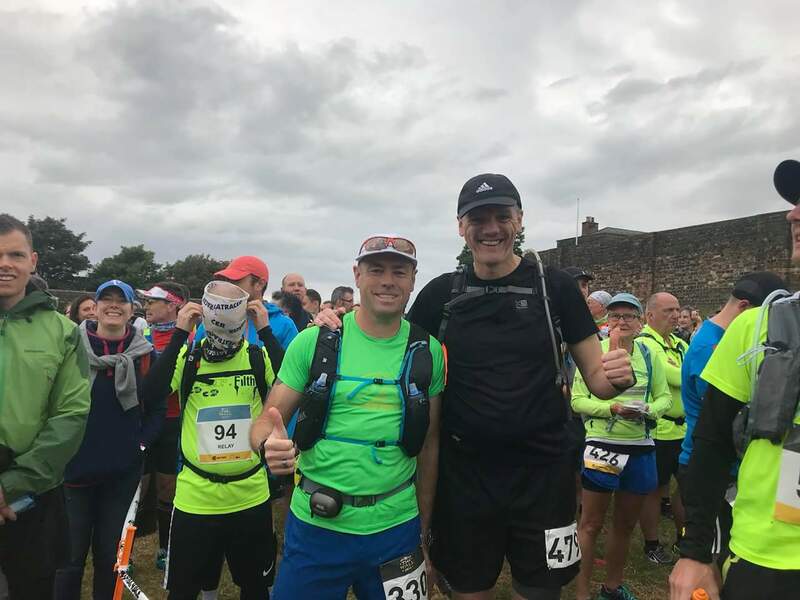 Club captain Scott Lynch completed his 1st ultra-marathon on Saturday running 69 miles through historic Hadrian’s wall country in a time of 17hrs:50m. Lynch was accompanied by seasoned ultra runner and fellow club mate Edward Rodger and ran the course together starting off in Carlisle, making their way east and finishing in Newcastle. 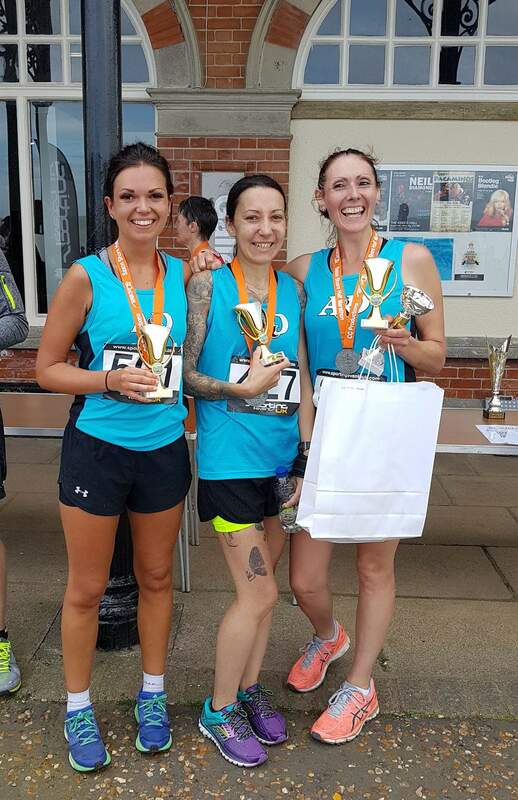 Ashford & District were well represented at the inaugural Saxon Shore Half Marathon. The course followed the majority of the coastline from Herne Bay to Whitstable and for the most part was fairly flat. Paul Moses finished 1st for the club and 8th overall in 1hr:29m:16s with Rob Barton not far behind in a personal best of 1hr:34m:47s. Becky Macey continued to impress finishing as 2nd lady overall with a personal best time of 1hr:38m:31s. Anthony Brown finished in 1hr:43m:15s, Elodie Paviot also set a new personal best finishing in 1hr:44m:45s. Aaron Homewood was next up in 1hr:52m:25s with Rhian Shrimplin in 1hr:55m:15s, helping to clinch the ladies 1st place team prize in the process. Mark Boorer in 1hr:56m:01s, Mark Cleworth in 1hr:56m:30s and Verity Dunbar setting a personal best of 1hr:56m:49s. Filiz Salih also set a personal best of 1hr:58m:05s. In his 1st half-marathon, Shaun Snowwolf-Harris finished in 2hrs:10m:56s, Lucy Johnstone set a personal best of 2hrs:14m:02s as did Sarah Homewood in a time of 2hrs:20m:00s. 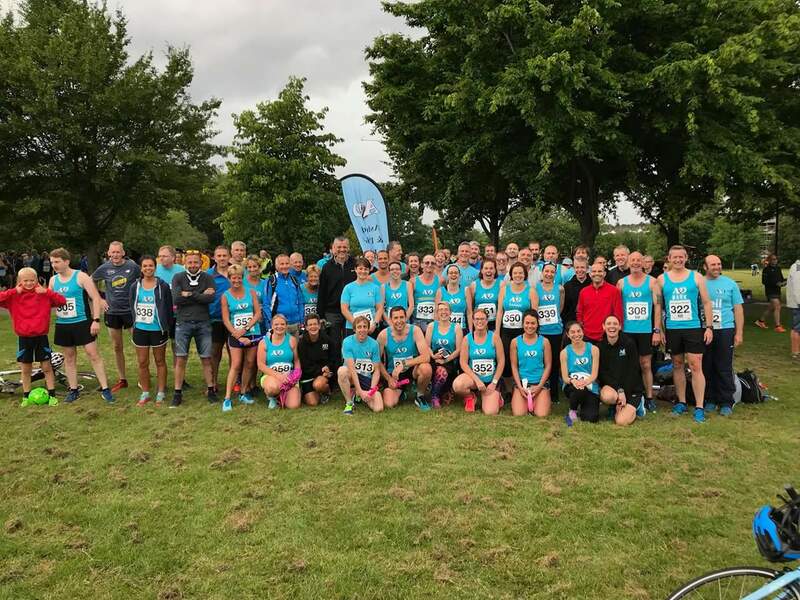 Home advantage paid off for A&D at the 3rd East Kent Relays of the summer at Victoria Park on Tuesday as the senior mens A team sprinted to victory. A&D also made a clean sweep across the veteran categories, winning the Vet 40 mens A&B and Vet 50 mens A&B races. A&D ladies senior B team cruised to victory as did the ladies Vet 35 A&B teams. 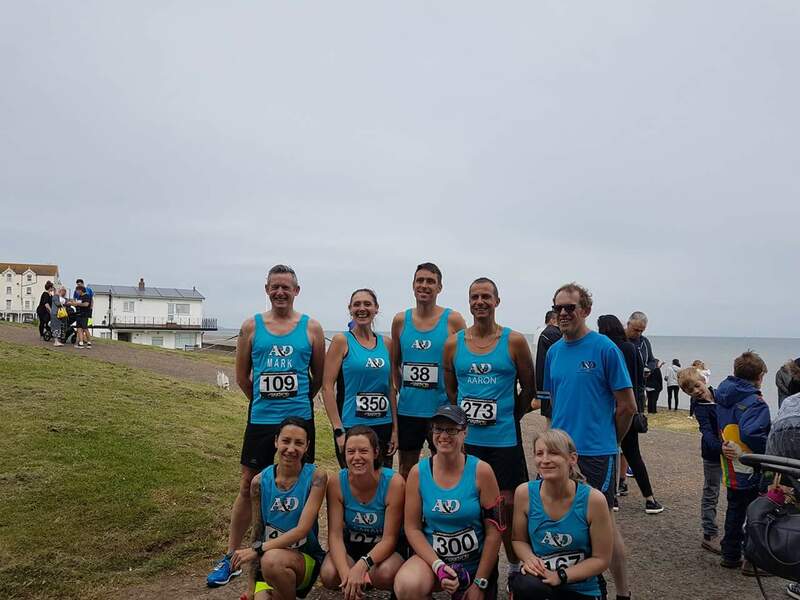 The ladies Vet 45 A team were pipped into 2nd place by Folkestone running club, however the B team took victory in the B league race. In total, out of the 15 race categories, A&D produced 9 of the winners on a successful night for the club. It was a humid and overcast parkrun on Saturday as Jonny Wells finished 8th overall and 1st male for A&D in a time of 19m:23s. Paul Moses and Mark Attenborough followed in 21m:42s (21st) and 21m:43s (22nd) respectively. Carl Ireland finished in 22m:04s (27th) with Mark Carlton in 22m:34s (38th) and Aaron Homewood and James Chapman both crossing the line in 22m:40s (41st & 42nd). Don Dewar, Philip Bridges and Mark Harrison all finished within seconds of each other in 23m:10s (48th), 23m:13s (49th) and 23m:16s (50th) respectively. Rob Carpenter was up next in 23m:44s followed by Will Whittington on his 100th parkrun in 24m:52s. Mark Boorer recorded a time of 25m:12s, whilst Keith Lynn set a new personal best of 25m:26s. Simon Jackson finished in 26m:53s followed by Lucy Johnstone in 27m:00s, Rachel Jenkins in 30m:24s, Lesley Moody in 31m:39s and Emma Jenkins in 33m:37s. Meanwhile, around the country, Gill O’Connor ran the Riddlesdown parkrun in 22m:21s (45th), John Fidge completed the Houghton Hall run in 25m:50s (37th) and Andrew Noble finished the Dartford Heath parkrun in 19m:26s (3rd).